A cough occurs when there is inflammation or irritation in the lungs, throat, larynx, or bronchial tubes. There are two main types of coughs: congested and dry. A congested cough typically occurs when you have a cold, and is often accompanied by a stuffy nose or sore throat. A dry cough, however, will have a more raspy feel to it without any phlegm. A congested cough often occurs due to a cold, flu, or sinus/bronchial infection and is often called bronchitis. In this situation, you must usually wait at least 7 to 10 days until your body fights off the infection. However, a number of home remedies listed below can help boost your immune system to shorten an episode of bronchitis, while others can help to thin the mucus so that it is easier to cough up. A dry cough often occurs due to smoking, asthma, dust, or pollution. Rapid temperature changes can also lead to a dry cough. In this case, the best solution is to moisturize your throat by drinking warm fluids, which helps sooth your mucus membranes. Note that if your cough persists for more than a week, or if you are coughing up blood, you should see your doctor immediately. Drinking lots of fluids is a great way to help relieve a cough, since fluids make the mucus easier to cough up. Warm liquids or water at room temperature work best. However, caffeine or alcohol should be avoided since they are diuretics, which cause you to urinate more often and actually lose more fluids than you gain. A simple home remedy to help moisten your throat and loosen the mucus is to inhale steam. An effective way to do this is to fill your bathroom sink with hot water, and then drape a towel over your head while you lean above the sink. Inhale the steam from the sink for 5 to 10 minutes every few hours throughout the day. Adding 5 to 10 drops of certain essential oils to the hot water can also help stimulate your lungs to expel phlegm. Some effective oils are Thyme Essential Oil and Peppermint Oil. During the winter, a cool-mist vaporizer or humidier is a great way to help thin the mucus that leads to coughing. The best time to use a humidifier is during the night while you sleep. Be sure to clean the vaporizer/humidifier often to prevent the build-up of harmful bacteria. Some people have found that eating hot chili peppers, horse-radish, or other spicy foods can help loosen the mucus that leads to congested coughing. It is also important to avoid foods that lead to extra mucus production, such as meat, dairy products, and fried foods. Increasing your intake of Vitamins A, C and E is also beneficial, since they help to boost your immune system and fight off infections that lead to coughing/bronchitis. For dry coughs, a teaspoon of honey has been found to be very beneficial in soothing the lining of your throat. Take 3 or 4 cloves of garlic. Peel the cloves and then chop them into small pieces. Mix the cloves in a cup of honey and let the mixture sit overnight. Take one teaspoon of this honey and garlic mixture twice daily. Find some simple solutions for soothing a sore throat. 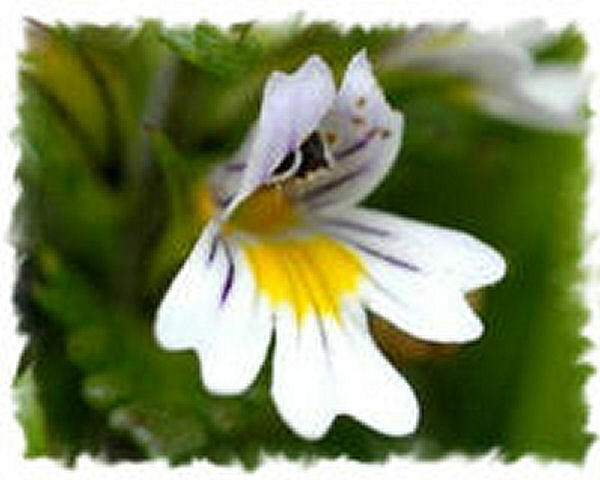 This herb is excellent for treating eye problems as well as respiratory conditions. Manela, Please check out some effective remedies above on this page for cough. Honey and Garlic remedy has shown to be beneficial for cough attacks. Shark liver oil is very effective for cough. You can take it in capsules form. It boost your immune system literally overnight, particularly your respiratory system. However, as it contains high amounts of vitamin A, therefore it should not be taken continuously, as it could be hard on the liver. Also some people find fish oils hard to digest. If a class of antibiotics are not working - go back to see your doctor. There are further antibiotics that they can prescribe. Things I've found help cough - steam, lemon, raw garlic, chili, honey, ginger, whiskey, vinegar, and warm salty water. .
Christina, try taking 3-4 drops of Oil of oregano 2-3 times daily for a week. Take one dose right before going to bed for a bit peaceful sleep. If you don't have oil of Oregano, taking a 1/4 tsp of black seed oil along with a half tsp of honey twice daily for a week works too. Feel better! I hope you can live a long and healthy life :) Good luck! I'm suffering from bad cough for past two days. Please suggest me some home remedies to live a little longer life. I've had a chest and lung infection for weeks now. Doctor had given me 2 courses of amoxicillin 500mg but they didn't move the infection from my lungs. I've stopped smoking and don't know if this is what has caused this. I need to get it cleared quick. Thank you for any help any one can give me. I am having a bad cough right now and I really hate this feeling. Hoping this home remedy works! I suffer from a very bad cough every 6 months. Please suggest me some good remedies. Wow! These remedies really helped my bad cough.